Harrogate Upholstered Pair of Chairs is rated 4.8 out of 5 by 5. 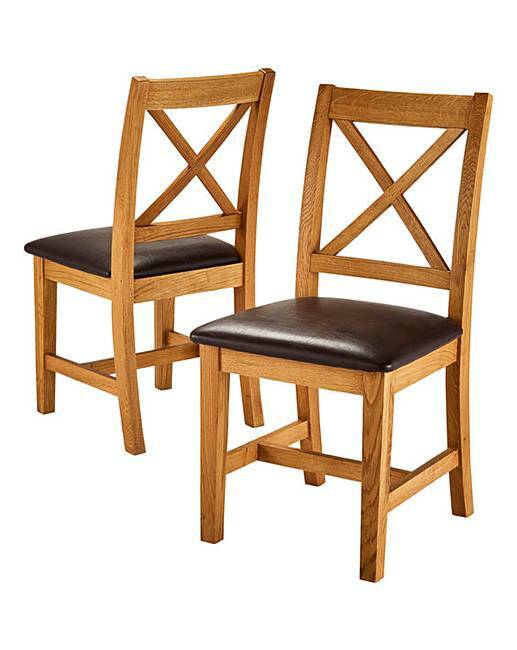 The Harrogate Ready-Assembled Pair of Dining Chairs are in a tradtional country house design crafted from solid oak and oak veneer that is lacquered to enhance the natural grain. The chairs have cushioned faux-leather seats with a ladder back. 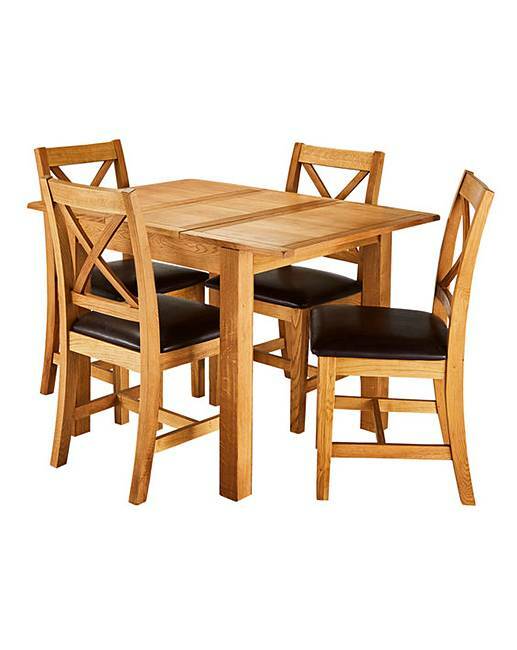 The traditional shaker design is perfect to complement any dining room. Chair maximum user weight 17st/110kg. H.91 x W.46 x D.50cm. Seat height from floor 47cm. Rated 5 out of 5 by Frances from Great chairs. Very sturdy and strong. Look very good. I would recommend these chairs. Rated 5 out of 5 by jilly from Comfortable I purchased 4 of these chairs. Very sturdy and extremely comfortable. Rated 5 out of 5 by lily from Great look. I bought these a few weeks ago. I love colour of the wood and the Wright of the chairs. Rated 4 out of 5 by Garve from Happy Made up with these chairs very comfy everyone who use them all comment. Only problem was getting rid of three big boxes full of polystyrene but that is all.